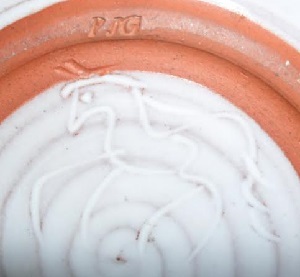 I have looked in the NZ potters book, but can't find this mark. Can anyone help please? 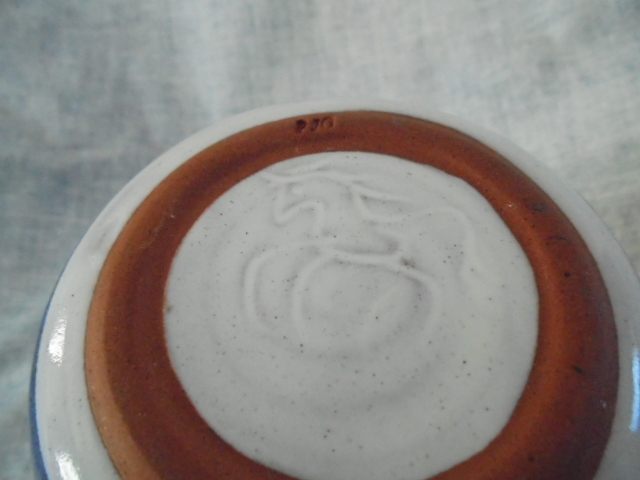 I found a bowl with this mark on today and it is made from earthenware clay. The distinctive delightful decoration looks familiar and should help with id. 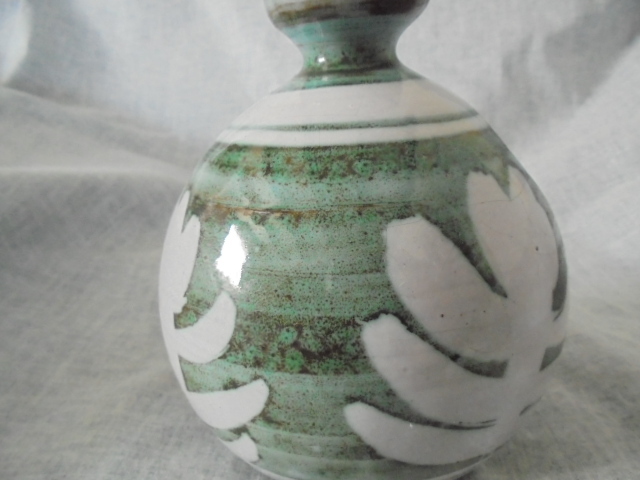 Haven't got time for pics as I have an end of year pottery function to attend, but will add some at a later date. 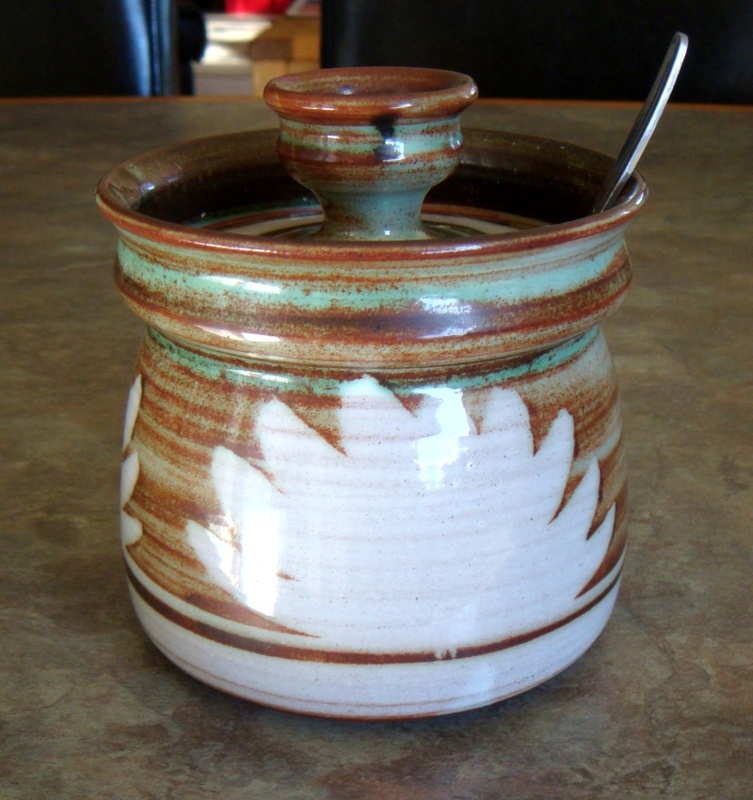 I have a couple of pieces of this pottery, which we use daily. The pattern is always the same, but it comes in several different colours, pale blues, browns or greens, but always a red clay base. 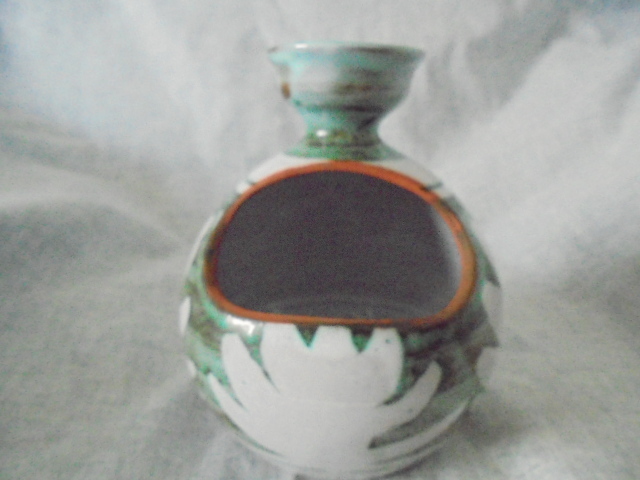 I have never seen an earthenware one, good find! As I come across these pieces on a fairly regular basis, I doubt it is Spanish, but more likely from the South Island somewhere. I would really love to know the potter, it will come one day I'm sure. 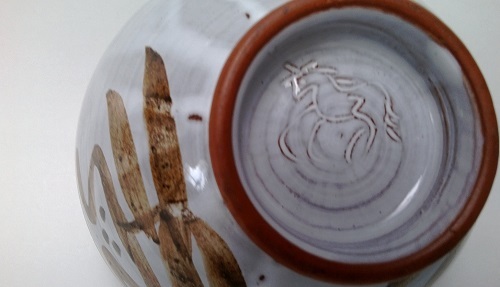 The horse appears to be hand incised, and is always a little different. Haha I know it's not Spanish. The decoration on my piece is different and distinctive and I've seen it before. Red terracotta clay is called earthenware in my lingo. 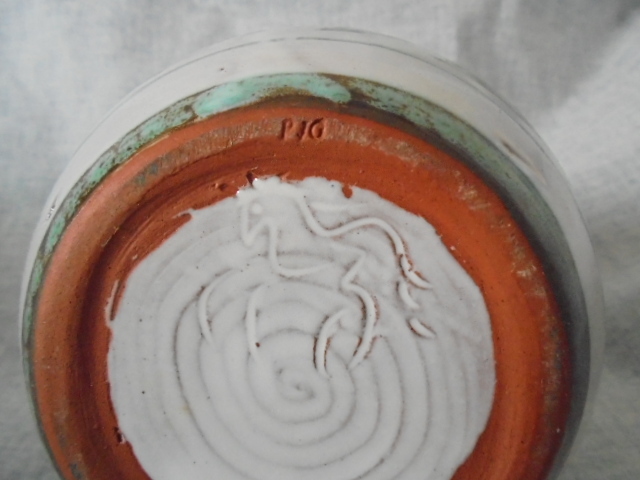 The Australian Potters marks site has this mystery mark too and someone said it could depict a unicorn ..... ? I have made a little progress with this mark. 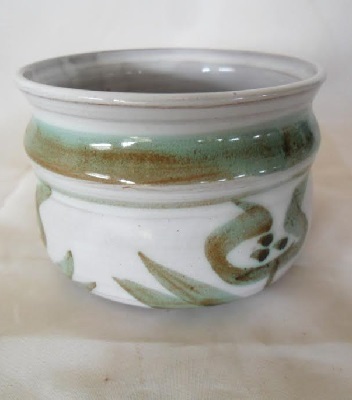 I have just been talking to a lady who used to pot here in Nelson, and was secretary of the Craft Potters, and she told me that the potter's name is Patrick something, and he called the pottery 'White Horse Pottery', somewhere in Nelson. 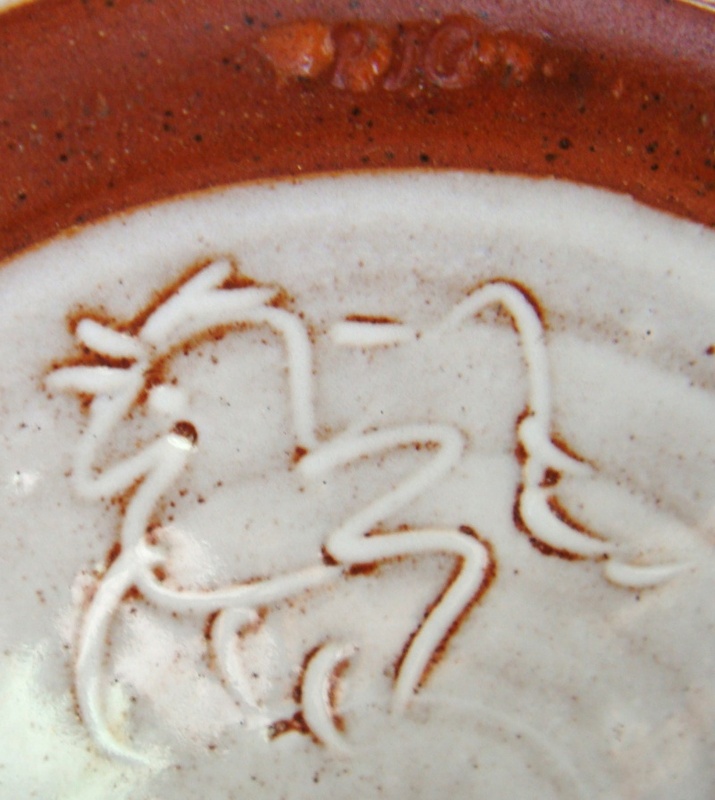 Be careful, she said, this is earthenware, and chips easily. 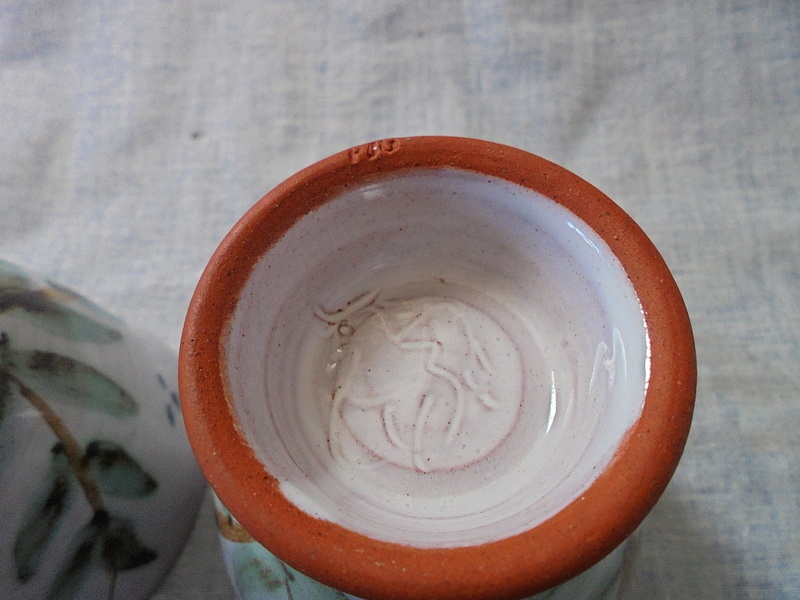 The questions and answers in this auction say that the horse mark is White Horse Pottery from Nelson and possibly Patrick Gaze. I can't find any info for this name. I tried last week and couldn't either. 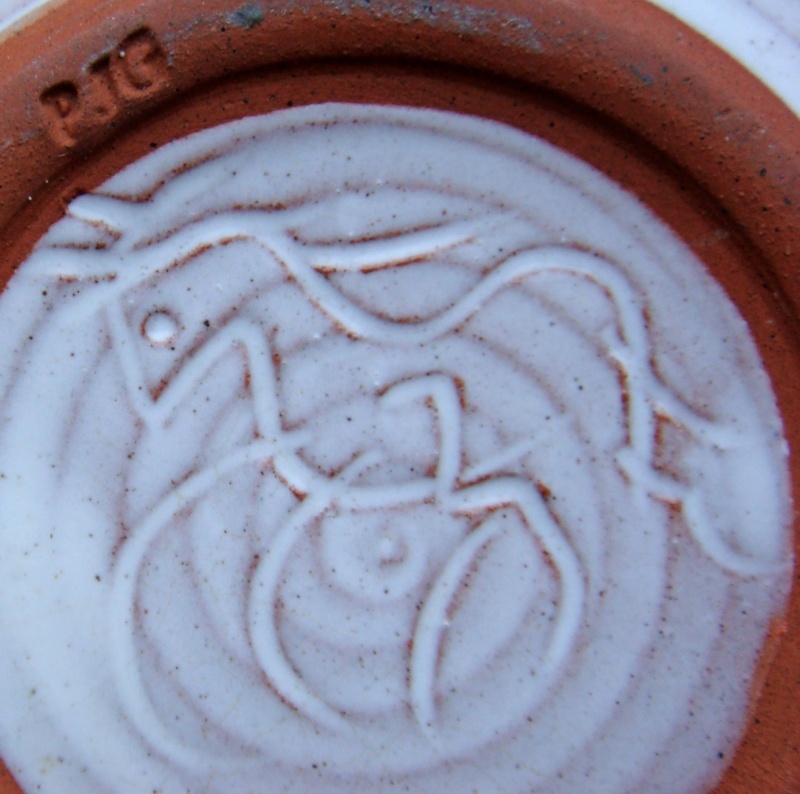 I will take this mark out of the Mystery Marks and add it to the main Gallery as White Horse Pottery for now. Finally after nearly 5 years, we have a name for this mark thanks to the Ferret. Whew !! Thank you Ferret, and well done for solving this mystery. Hi ..... sorry, it's me again. Not sure if it's a typo or an error -- potter's name should be GAZE not GARE. Cheers. Thanks, I am out atm, but will look into this later. I saw the name Gaze on Trade Me one time, but couldn't find confirmation anywhere. mumof1 wrote: I have a couple of pieces of this pottery, which we use daily. The pattern is always the same, but it comes in several different colours, pale blues, browns or greens, but always a red clay base. 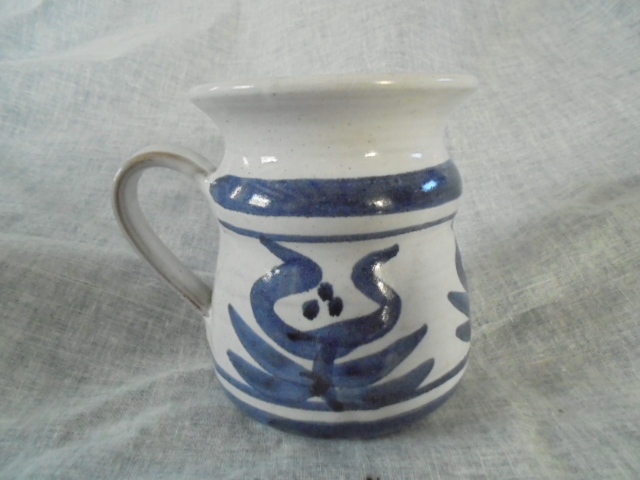 I have never seen an earthenware one, good find! As I come across these pieces on a fairly regular basis, I doubt it is Spanish, but more likely from the South Island somewhere. I would really love to know the potter, it will come one day I'm sure. I shared a flat in Auckland with a Patrick Gaze, about 25 years ago. 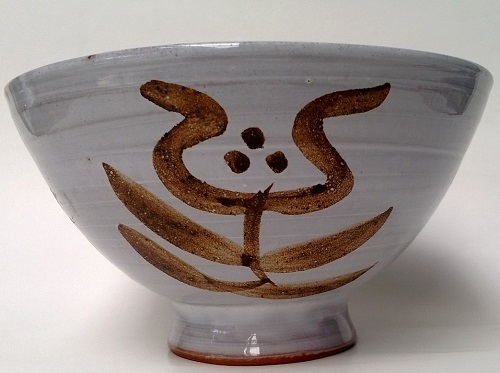 He had come out from the UK as a professional potter; and so the Nelson pottery must have been his - surely there wouldn't be two Patrick Gazes potting in the South Island, would there? He retired from his (groundsman at Ellerslie racecourse) job, and went back to the South Island, somewhere in Canterbury. Then he changed his email address, and I lost contact with him. But it would explain the White Horse, wouldn't it. (Chalk white horses in Wiltshire). He may have been from Wiltshire. 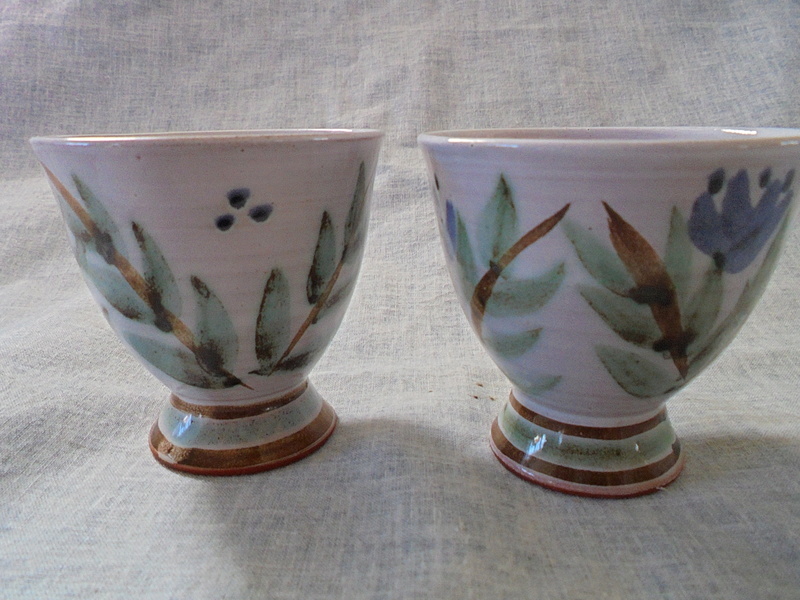 Are these wine sips? Don't laugh, I only know the term "wine sip" from here and I have no idea what they are supposed to look like. Ah well, I have only been in New Zealand for a couple of years, English is my second language and I only recently got interested in pottery. I have been drinking wine for quite a few decades, but always out of glass. And did I mention English is not my first language? Are wine sips typically from these parts?